Matt is responsible for all aspects of our IT infrastructure and software development, including communication networks, approximately 90 supply chain distribution centers, and retail systems across the company’s 2,200-plus stores and store support centers. Matt is also responsible for our IT strategy, including the development and execution of technologies used in stores, online and in our supply chain. 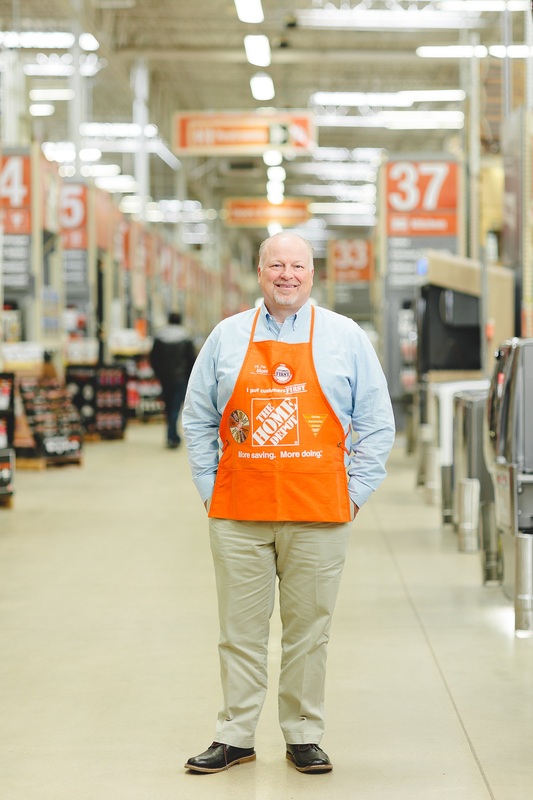 When Matt Carey joined The Home Depot in 2008, our IT capabilities were years behind other retailers of our size. Under Matt’s leadership, the company has successfully built out the capabilities of an advanced retailer including store mobility, price management, auto-replenishment, global sourcing, interconnected retail, advanced analytics, and more. These IT advances provided the knitting that has tied together enormous transformations across supply chain, merchandising, store and online systems. As part of this, Matt’s team designed and launched an industry-first proprietary mobile device we call the “First Phone,” which functions as a phone and walkie-talkie with the added functionality of mobile checkout, inventory management, product search and business analytics. Before joining The Home Depot in 2008, Matt served as senior vice president and chief technology officer at eBay. In that role, he was responsible for product development, site operations, electronic security, product planning, platform engineering, data warehousing, trust and safety, and catalog operations for eBay Marketplaces. Prior to joining eBay in 2006, Matt spent more than 20 years with Wal-Mart, where he was senior vice president and chief technology officer. During his tenure at Wal-Mart, he managed the rollout of the wireless RF infrastructure, had responsibility for the company’s Mainframe Large Systems and Data Warehouse, and led the implementation and integration of Walmart.com, Samsclub.com and the grocery home delivery business in the U.K. He also was responsible for implementing Goodlinks, which provided wireless real-time email and calendaring functions. Matt earned an associate’s degree in information systems from Oklahoma State University – Okmulgee.